Steelers general manager Kevin Colbert pointed to Conner and Jaylen Samuels as part of the impetus for the organization's decision not to place a transition tag on Le'Veon Bell, Ed Bouchette of the Pittsburgh Post-Gazette reports. Conner (ankle) ran for 64 yards on 14 carries and caught all three of his targets for 30 yards during Sunday's 16-13 win over Cincinnati. Conner (ankle) is listed as active for Sunday's game against the Bengals. Conner appears to be in line to play Sunday against the Bengals after testing out his ankle in warmups, Gerry Dulac of the Pittsburgh Post-Gazette reports. Analysis: We'll confirm the running back's Week 17 status, either way, upon the release of the Steelers' inactives in advance of Sunday's 4:25 ET kickoff. However, at this time it looks like Conner is poised to return to action following a three-game absence. Conner (ankle) did less in practice this week than initially perceived and is a true game-time decision, Fox's Jay Glazer reported on their pregame show Sunday morning. Analysis: The general expectation was that Conner would play, but now it appears that isn't as certain. Moreover, even if he plays, he may not be as heavily used in the offense as initially expected. Conner (ankle), who is listed as questionable for Sunday's game against the Bengals, will be evaluated after a pregame warmup, but the expectation is that he'll suit up, a source told Ian Rapoport of NFL Network. Conner (ankle) will have his status for Sunday's game against Cincinnati determined after he participates in pregame warmups, Adam Schefter of ESPN reports. Analysis: Conner, who has missed the last three games, took a questionable tag into the weekend despite practicing fully Wednesday through Friday. The running back is determined to play, but the team wants to get a look at him on the field prior to making a decision. If Conner suits up, there's a chance he could see lower usage than normal coming off injury, especially after Jaylen Samuels thrived in his absence. Conner (ankle) is listed as questionable for Sunday's game against the Bengals after practicing fully all week. Analysis: Per Ray Fittipaldo of the Pittsburgh Post-Gazette, Conner, who missed the Steelers' past three games with a high-ankle sprain, is expected to play this weekend after logging full practices throughout the week. Official confirmation of the running back's Week 17 status will arrive upon the release of the team's inactives in advance of Sunday's 4:25 PM ET kickoff. If Conner is cleared to play as expected, Jaylen Samuels would presumably revert to a complementary role in the Pittsburgh offense. Conner (ankle) practiced fully Wednesday, Teresa Varley of the Steelers' official site reports. Coach Mike Tomlin indicated Tuesday that he views Conner (ankle) as questionable for the Steelers' Week 17 game against the Bengals, Dale Lolley of DKPittsburghSports.com reports. Analysis: Tomlin noted that Conner's availability for the regular-season finale will hinge on the running back's participation in practices Wednesday through Friday. Conner was unable to log any on-field activity in practice at any point before Sunday's 31-28 loss to the Saints, resulting in him missing a third straight contest. If Conner fails to demonstrate meaningful progress within the next few days, Jaylen Samuels would again be positioned to lead the Pittsburgh backfield for another game. 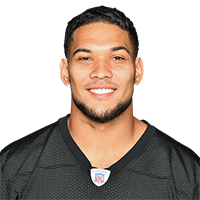 Conner has been ruled out for Sunday's game against the Saints, Teresa Varley of the Steelers' official site reports. Analysis: Conner didn't practice all week and will be sidelined for the third consecutive game. That paves the way for Jaylen Samuels to act as the lead option out of the Pittsburgh backfield, with Stevan Ridley on hand in a supporting role. Conner (ankle) did not practice Thursday. Analysis: Conner has missed the Steelers' last two games and back-to-back missed practices this week hint at another absence Sunday against the Saints. If he ends up sitting out that contest, rookie Jaylen Samuels would once again head the Pittsburgh backfield in Week 16, with Stevan Ridley on hand to work in a complementary role. Conner (ankle) didn't practice Wednesday, Teresa Varley of the Steelers' official site reports. "I am trying. It's day-by-day," Conner said Wednesday, in reference to his outlook for Sunday's game against the Saints. "These high-ankle sprains are deceiving. I can walk around fine, not limping. When I am out there on the field, cutting and stuff, it's not ready yet." Analysis: Conner has already missed two games with the high-ankle sprain and appears in serious jeopardy of missing another. If he's unable to go this weekend, the Steelers would once again turn to Jaylen Samuels -- who carried 19 times for 142 yards in the Week 15 win over the Patriots -- to head their backfield, with Stevan Ridley on hand in reserve. Conner's (ankle) status remains in limbo for Sunday's game at New Orleans, Ed Bouchette of the Pittsburgh Post-Gazette reports. "Hopefully, that sets the stage for a productive Wednesday, and we'll go from there," coach Mike Tomlin said Tuesday after seeing Conner at the Steelers' facility. Conner (ankle) is inactive for Sunday's game against the Patriots. Analysis: This is the expected outcome after Conner was downgraded from questionable to doubtful Saturday. On the plus side, Ian Rapoport of NFL Network reports that the Steelers expect the running back to be available for Week 16's game against the Saints. Against the Patriots, however, Jaylen Samuels is once again in line to head Pittsburgh's backfield, with Stevan Ridley on hand to work in a complementary role against the team he played for from the 2011 season through 2014. Conner (ankle) is listed as doubtful for Sunday's game against the Patriots and isn't likely to play, but Ian Rapoport of NFL Network reports the Steelers expect him back for the Week 16 game in New Orleans. 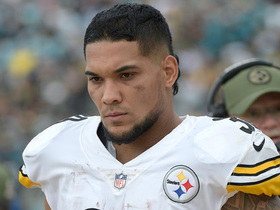 Analysis: The strong likelihood of Conner missing a second straight game this weekend is still a disappointing development for a team still clawing for the AFC North title, but it's encouraging news that his sprained ankle doesn't seem to threaten his availability for a potential postseason run. The Steelers will lean on Jaylen Samuels as their primary runner and pass catcher out of the backfield again versus New England, with Stevan Ridley likely to spell him mainly in short-yardage situations. The Steelers downgraded Conner (ankle) from questionable to doubtful for Sunday's game against the Patriots. Conner (ankle) is not expected to play against the Patriots on Sunday, Ian Rapoport of NFL Network reports. Conner (ankle) is listed as questionable for Sunday's game against the Patriots, Teresa Varley of the Steelers' official site reports. Analysis: After being held out of practice Wednesday and Thursday, Conner returned as a limited participant to wrap up Week 15 preparations. The appearance indicates he has a chance to play through a mid-to-high ankle sprain this weekend after missing one game as a result of the injury. If he's unable to take on the Patriots' 15th-ranked run defense, Jaylen Samuels and Stevan Ridley are on hand to fuel the ground game. Conner (ankle) isn't participating in Thursday's practice, Aditi Kinkhabwala of NFL Network reports. Conner (ankle) didn't practice Wednesday, Teresa Varley of the Steelers' official site reports. "James Conner, with his ankle injury, had a really impressive week last week," Tomlin noted after the session. "We'll see what this week holds, and his availability [for Sunday's game against the Patriots] will be based on his health and then his preparedness. We'll see about his availability throughout the course of the week and let his availability and then the quality of that be our guide." Coach Mike Tomlin said Tuesday that Conner (ankle) hasn't been ruled out for the Week 15 game against the Patriots but will need to demonstrate progress in practices Wednesday through Friday to gain clearance to play, Chris Adamski of TribLive.com reports. Conner, who is listed as out for Sunday's game against the Raiders, could also miss the Steelers' subsequent matchup with the Patriots in Week 15, Ian Rapoport of NFL Network reports. Coach Mike Tomlin relayed Tuesday that Conner has a sprained ankle that is more significant than originally thought, ESPN.com reports. Analysis: Previous reports indicated that the running back was dealing with a leg contusion, but that's been narrowed down to an ankle issue. Given how quickly the running back was ruled out this week, his absence could extend beyond Week 14. The Steelers will thus turn to Jaylen Samuels and Stevan Ridley to head their backfield Sunday against the Raiders in some form of time share, with Trey Edmunds in reserve. An ankle sprain will cause Conner to miss Sunday's game against the Raiders, Jeremy Fowler of ESPN.com reports. Analysis: As a result, look for Jaylen Samuels and Stevan Ridley to head the Steelers' Week 14 backfield, with Trey Edmunds in reserve. Conner carried 15 times for 60 yards and two touchdowns on caught three of four targets for 14 yards during Sunday's 33-30 loss to the Chargers before exiting with a lower-leg contusion late in the fourth quarter. Analysis: For the second straight game, Conner was mostly held in check, with 42 of his rushing yards coming on two carries. He was taken out of the game after getting rolled up on late in the contest, prompting the Steelers to turn to Jaylen Samuels at running back for the final few plays. Conner's injury appears minor according to early reports, but his status will bear monitoring in the coming days to discern if he'll be ready play Week 14 in Oakland. Head coach Mike Tomlin said Conner suffered a lower-leg contusion during Sunday's 33-30 loss to the Chargers, Adam Schefter of ESPN reports. Conner compiled 53 rushing yards on 13 attempts, adding four catches for 42 yards during Sunday's 24-17 loss to Denver. Conner rushed nine times for 25 yards while adding six receptions for 24 yards on nine targets in Sunday's 20-16 win over the Jaguars. Conner (concussion) doesn't carry an injury designation into Sunday's game against the Jaguars, Teresa Varley of the Steelers' official site reports. Conner (concussion) logged another full practice Thursday. Analysis: Back-to-back full practices set the stage for Conner to be a go Sunday against the Jaguars, though we'll continue to assign him an injury designation until it's confirmed that he has totally cleared the NFL's concussion protocol. Official word on that front could arrive Friday, upon the release of the Steelers' final Week 11 injury report. Conner (concussion) practiced fully Wednesday, Jeremy Fowler of ESPN.com reports. Le'Veon Bell (contract dispute) didn't sign his franchise tender by Tuesday's 4 p.m. ET deadline, ensuring Conner will remain the Steelers' starting running back going forward, Bob Labriola of the team's official site reports. Conner is still in the concussion protocol, but coach Mike Tomlin expects the running back to practice Wednesday, Dale Lolley of DKPittsburghSports.com reports. Analysis: Conner has three extra days to make it through the protocol after suffering a brain injury in last Thursday's 52-21 win over the Panthers. Even if he's a limited participant, Conner's presence on the practice field Wednesday would put him on track to avoid an absence Sunday at Jacksonville. With Le'Veon Bell not expected to join the team, Conner is positioned for a massive workload over the final seven weeks of the season. The Steelers are optimistic that Conner will clear the NFL's concussion protocol and suit up in the team's next game Nov. 18 against the Jaguars, Ian Rapoport of NFL Network reports. Coach Mike Tomlin confirmed after Thursday's 52-21 win over the Panthers that Conner is in the league's concussion protocol, NFL.com reports. Conner is being evaluated for a concussion in the fourth quarter of Thursday's game against the Panthers and is questionable to return. Conner rushed 24 times for 107 yards while adding seven catches for 56 yards and a touchdown on nine targets in Sunday's 23-16 win over Baltimore. Analysis: Conner got into the end zone on a seven-yard reception in the first quarter and ended up topping 100 yards on the ground for the fourth consecutive game. With Le'Veon Bell still yet to report due to a contract dispute, the Steelers have had no problem giving Conner all the work he can handle, much to the delight of his fantasy owners. Pittsburgh will be right back in action Thursday, so it's unlikely Bell reports by the time the Panthers come to town in Week 10. Conner is once again expected to serve as Pittsburgh's lead back Sunday in Baltimore after Le'Veon Bell (contract dispute) failed to report to the team Wednesday for its first practice of Week 9, Ian Rapoport of NFL Network reports. Conner ran for 146 yards and two touchdowns on 24 carries and caught three of his six targets for 66 yards during Sunday's 33-18 win over Cleveland. He also fumbled once, but it was recovered. Analysis: Conner, whose fumble in Week 1 contributed to Cleveland's comeback that ended in a 21-21 tie, fumbled again on Pittsburgh's third possession of the game, but Roosevelt Nix recovered. After a slow first half, Conner exploded for the bulk of his yards and the two scores in the final two quarters. Conner faces a strong Baltimore defense Week 9 that held him to 44 total yards from scrimmage -- including 19 yards on nine carries -- in a Week 4 loss. Conner is expected to remain the Steelers' lead back Sunday against the Bengals with Le'Veon Bell (contract dispute) not planning to report to the team this week, Jim Trotter of NFL.com reports. Conner rushed 19 times for 111 yards and two touchdowns while catching four of seven targets for 18 yards in Sunday's 28-21 win over the Bengals. Analysis: Conner scored a pair of one-yard touchdowns in the second quarter. He came less than a yard short of the goal line on a 25-yard run in the third and was subsequently stuffed on two attempts, so Pittsburgh was forced to settle for a field goal. With Le'Veon Bell due back during Pittsburgh's Week 7 bye, questions loom over Conner's workload moving forward. Chances are his role will be limited if Bell's healthy. Steelers quarterback Ben Roehtlisberger said Tuesday that he hopes that Conner retains a role on offense once Le'Veon Bell (contract dispute) reports to the team, Sean Gentile of the Pittsburgh Post-Gazette reports. 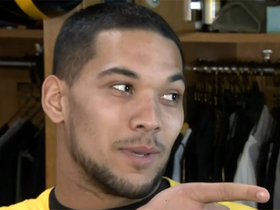 "What I would say is, I don't think we put [Conner] on the shelf by any means," Roethlisberger said. "And I will push for James to get as much run as we can because we've seen some great things from him in all phases of football. He's picking up blitzes, he's catching the ball, he's running hard and making plays and playing with a passion, so we need to keep using that." Conner rushed 21 times for 110 yards and two touchdowns and brought in all four of his targets for 75 yards in the Steelers' 41-17 win over the Falcons on Sunday. He also fumbled once but it went out of bounds. Steelers offensive coordinator Randy Fichtner said Thursday that he's eager to get Conner more involved in the ground game, Chris Adamski of TribLive.com reports. "I probably just need to do a better job heating him up," Fichtner said, referring to giving Conner more carries. 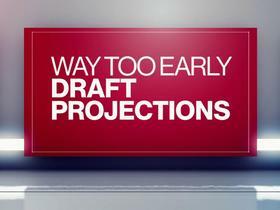 "It's just like quarterbacks, too. You get into a rhythm. And all good running backs, they need that rhythm." Conner will remain the Steelers' starting running back for at least two more games, at which point Le'Veon Bell (contract) dispute) is expected to report to the team, Jeremy Fowler of ESPN.com reports. Analysis: Bell has stayed away from the Steelers as his franchise tag remains unsigned, but there appears to be a deadline for the running back to return to the team's facility. Once he does, there's little doubt the ground game will revolve around Bell, who has typically left little more than scraps for his backups. For the next two games, though, Conner will lead the backfield, which has so far equated to 81 touches through four contests. Conner rushed nine times for 19 yards during Sunday's 26-14 loss to the Ravens. He also secured three of seven targets for 25 yards with one two-point conversion. Conner ran for 61 yards on 15 carries and caught five of six targets for 34 yards in Monday's 30-27 win over the Buccaneers. Analysis: The second-year running back struggled get much of anything going early but finished with two big fourth-quarter runs of 27 and 17 yards to help extend drives and preserve the win. He won't find it any easier Week 4 against the Ravens, who are allowing just 84 rushing yards per game to opposing running backs this season. 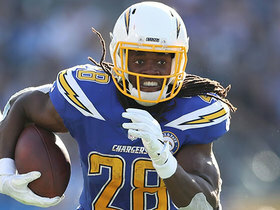 Conner is slated to serve as Pittsburgh's lead back Week 3 against the Buccaneers, Jeremy Fowler of ESPN.com reports. Analysis: Le'Veon Bell still hasn't reported to the Steelers or provided any hint about when he intends to do so, leaving Conner in line for another hefty snap count. Conner was limited to 17 yards on eight carries in Sunday's 42-37 loss to Kansas City, but he made up for it with a five catches for 48 yards and a touchdown on five targets. Conner enters Monday's game in Tampa Bay as the league leader in touches (49), with only Ezekiel Elliott boasting a higher snap share among running backs. Conner caught five of five targets for 48 yards and carried the ball eight times for 17 yards and a touchdown during Sunday's 42-37 loss to Kansas City. He also scored a two-point conversion on the day. Conner is in line to serve as the Steelers' lead back Week 2 against the Chiefs after Le'Veon Bell (contract dispute) failed to report to the team Wednesday ahead of its first practice of the week, Jeremy Fowler of ESPN.com reports. Conner carried 31 times for 135 yards and two touchdowns Sunday against the Browns. He also caught five of six targets for 57 yards and lost a fumble in the 21-21 tie. Conner is in line to start at running back for the Steelers on Sunday in place of Le'Veon Bell, ESPN's Adam Schefter reports. 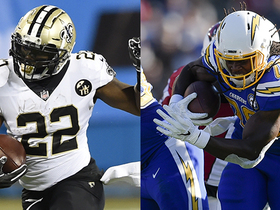 Analysis: Jaylen Samuels and Stevan Ridley are also on hand and could factor in on Sunday, but for however long Bell is away from the team, Conner is on track to head the Pittsburgh backfield. With Sunday's weather in Cleveland likely to include rain and some wind, the stage could be set for Conner to be busy in his anticipated starting assignment. Conner's teammate Le'veon Bell (contract dispute) did not travel with the Steelers and is expected to miss Sunday's game in Cleveland, Adam Schefter of ESPN reports. Analysis: The opportunity for Conner in the opener is now clear. While Jaylen Samuels and Stevan Ridley might be sprinkled in for some plays, this is Conner's big chance and he should be on the field for much of the game while perhaps seeing close to the level of volume his unhappy teammate normally receives. Conner is closer to starting Sunday's game at Cleveland with Le'Veon Bell (contract dispute) still away from the Steelers as of Friday, Jeremy Fowler of ESPN.com reports. Analysis: Conner has 68 offensive snaps to his name as a professional, dashing for 144 yards on 32 carries (4.5 per) in his rookie season in 2017. However, the Steelers are confident he can get the job done as long as Bell isn't at the team facility. On the other hand, Conner still has to contend with rookie Jaylen Samuels and veteran Steven Ridley, which could impact his ceiling. Quarterback Ben Roethlisberger noted Wednesday that he's preparing for the Steelers' Week 1 matchup with the Browns as though Conner will start at running back, Adam Schefter of ESPN reports. Analysis: That's a logical approach, given that Le'Veon Bell (contract dispute) has yet to sign his franchise tender with the team. With Bell still away from the team and just two practices remaining after Wednesday's session before the Steelers' season gets underway, the likelihood that Conner starts Week 1 continues to grow with each passing day. Expect Conner to handle the bulk of the backfield carries against the Browns, though he could cede some duties on passing downs to rookie Jaylen Samuels. Even if Le'Veon Bell reports to the Steelers on Wednesday and practices right away, Ed Bouchette of the Pittsburgh Post-Gazette suggests that Conner could still get the start at running back for the team in Week 1. Conner's teammate, Le'Veon Bell, has yet to sign his franchise tender, the Pittsburgh Tribune-Review reports. Analysis: Conner logged the Steelers' first-team running back reps in training camp and the preseason and is thus in line to head the team's backfield until Bell returns to the mix. While this remains a fluid situation, Bell's absence from practice Monday puts Conner one step closer to either a start or a significant role Week 1. Conner ran for just 18 yards on 10 carries but caught six of six targets for 52 yards during Saturday's preseason game against the Titans. Analysis: With Le'Veon Bell continuing his holdout, Conner assumed the starting running back role but struggled to get anything going on the ground. Despite the lackluster effort, he has likely shown enough to fend off fifth-round draft pick Jaylen Samuels as Bell's primary backup, and is a potential handcuff in deep drafts. Conner (groin) took five carries for 57 yards and a touchdown in Thursday's 51-34 preseason loss to Green Bay. Conner suffered a groin injury at Sunday's practice, Mark Kaboly of The Athletic Pittsburgh reports. Analysis: While the Steelers await the return of Le'Veon Bell, Conner is acting as the top running back in the Steel City. Conner proved as much during Thursday's preseason game in Philadelphia, where he ran four times for 35 yards and hauled in a nine-yard reception. If Conner needs some time on the mend, rookie Jaylen Samuels is on hand to cover for him, with Fitzgerald Toussaint and Steven Ridley the next two in line. Conner rushed for 25 yards on four carries and added a nine-yard catch during Thursday's 31-14 win over the Eagles. Analysis: Three of Conner's carries went for at least seven yards and the Steelers scored the contest's first touchdown by throwing deep to JuJu Smith-Schuster after pounding Conner into the line on three consecutive plays. The local product has looked strong this camp, and that continued into Thursday. It's just hard to get too excited with Le'Veon Bell looming. Conner (knee) has been practicing at OTAs, ESPN.com's Jeremy Fowler reports. Conner (knee) recently said via SoundCloud that he has resumed sprinting on a treadmill. Analysis: Conner spent the final three games of the 2017 season on injured reserve due to a damaged MCL in his right knee. It isn't clear if he'll be operating under any physical limitations when offseason workouts commence in April, but he at least seems to be on track to be available in some capacity. The Steelers placed Conner (knee) on injured reserve Tuesday, Teresa Varley of the Steelers' official site reports. Analysis: Conner underwent surgery earlier in the day to repair the MCL in his right knee, spelling an end to the 22-year-old's rookie campaign. Though he didn't see many snaps behind bell cow Le'Veon Bell this season, Conner generally impressed in spot duty, logging 32 carries for 144 yards (4.5 average) across 14 games. The Steelers signed veteran Stevan Ridley to join Fitzgerald Toussaint in a depth role behind Bell. Conner is expected to be back to full strength for the start of the 2018 season. Conner will undergo knee surgery Tuesday and will be placed on injured reserve, Aditi Kinkhabwala of NFL Network reports. Conner needs knee surgery and likely will miss at least a few weeks, Mike Garafolo of NFL Network reports. 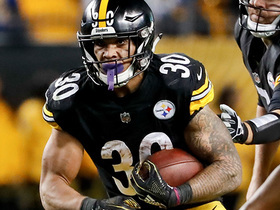 Analysis: Conner doesn't get much playing time behind Le'Veon Bell, sitting on 32 carries for 144 yards (without any receptions) in 14 games this season. Fitzgerald Toussaint will take over as Bell's backup for the rest of the regular season and possibly into the playoffs. Conner left Sunday's game against the Patriots in the fourth quarter with a knee injury, Ed Bouchette of the Pittsburgh Post-Gazette reports. Analysis: Conner handled a minuscule role behind Le'Veon Bell prior to his early exit, taking three carries for 13 yards. Fitzgerald Toussaint will finish out the contest as Bell's backup. Conner ran for six yards on two carries during Sunday's 39-38 win over Baltimore. Analysis: Conner maintains his No. 2 role in Pittsburgh's offense, but the disparity is considerable. Le'Veon Bell racked up 80 snaps to Conner's seven on Sunday. As a consequence, the rookie isn't as valued as most No. 2 backs in the league. He's tallied five touches just once this season and hasn't topped 20 total yards in a game since Week 4. Conner ran for 12 yards on three carries in Pittsburgh's 23-20 win over Cincinnati on Monday. Analysis: The Steelers continue to use Conner sparingly, and with good reason, as Le'Veon Bell is on pace to rush for over 1,400 yards so long as he remains healthy. Conner has rushed for 125 yards on 27 carries this season, for a solid 4.6 average, including a high of 26 yards earlier this season against Baltimore, who he'll face in Week 14. Conner has avoided the Steelers' injury report since limping off the field Sunday in Indianapolis. Analysis: Conner has received between one and eight offensive snaps in eight of nine games this season, but on his one such rep Sunday, he had a visible limp after a 12-yard gain. The lack of a designation in advance of Thursday's game against the Titans implies he'll be available as Le'Veon Bell's direct backup, per usual. Conner ran once for 12 yards in Pittsburgh's 20-17 win over Indianapolis Sunday. Analysis: The rookie did not touch the ball until late in the game and, although he looked good scampering for 12 yards, he had a noticeable limp as he made his way to the sideline. The team has not given any update, but he did not have another carry for the remainder of the contest. 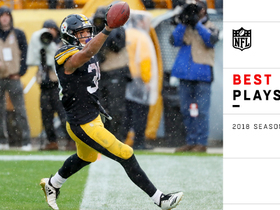 Watch the best plays from Pittsburgh Steelers running back James Conner from his 2018 season. 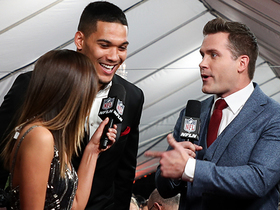 NFL Network's Kay Adams and Kyle Brandt are joined by Pittsburgh Steelers running back James Conner to talk about his first red carpet experience and expectations for 2019. NFL Network Insider Ian Rapoport has the latest on Pittsburgh Steelers running back James Conner, who has been out with an ankle injury, and whether he expects to play this week vs. the Cincinnati Bengals. 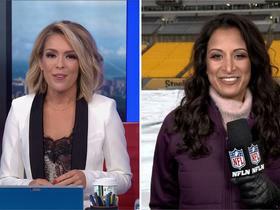 NFL Network's Aditi Kinkhabwala updates us on Pittsburgh Steelers running back James Conner for Week 17. The "NFL Fantasy Live" crew give their projections for running backs with tough matchups in Week 16. The "NFL Fantasy Live" crew discuss players how you should treat players returning from injury in Week 16. NFL Network's Aditi Kinkhabwala previews the New England Patriots Week 15 matchup vs. the Pittsburgh Steelers. 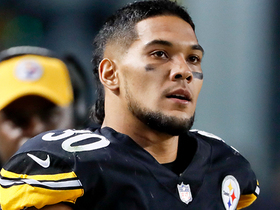 NFL Network's Mike Garafolo reports the latest on the status of Pittsburgh Steelers running back James Conner ahead of his team's Week 15 matchup with the New England Patriots.